TransCanada’s $15 billion pipeline claim is a worthy gamble. Two months after the Obama administration nixed the Canadian energy company’s controversial Keystone XL crude conduit, TransCanada is seeking damages worth over half its market cap. Investors are skeptical, and the case could take years to resolve. But the suit seems justified, despite the long odds of a payoff. The company is attacking the U.S. decision on two fronts. It filed a lawsuit in U.S. District Court in Houston claiming that President Barack Obama and the State Department overstepped their constitutional authority when they effectively killed the project by denying it a key permit in November. TransCanada has also started the paperwork to ask for damages under Chapter 11 of the North American Free Trade Agreement, which allows companies to bring disputes with governments to international arbitration. While a number of such cases have been filed by various companies in the two decades since NAFTA was enacted, no challenger has ever won against the United States. Most settlements in Mexico and Canada have been on the order of a few tens of millions of dollars. It typically takes three to four years for arbitrators to reach a decision. TransCanada would have to show that it received unfair treatment, and prove that it suffered financial harm. It may have a point arguing that it was unfairly singled out, since other pipelines between the United States and Canada have been approved in the past. Investors appear skeptical, however, that the company will get anything close to the $15 billion it’s asking for. TransCanada’s shares were down nearly 4 percent on Thursday as the company simultaneously announced it would take a writedown of up to $2 billion on the pipeline project in its fourth quarter. Even if investors are right, the challenge looks like a worthwhile exercise. 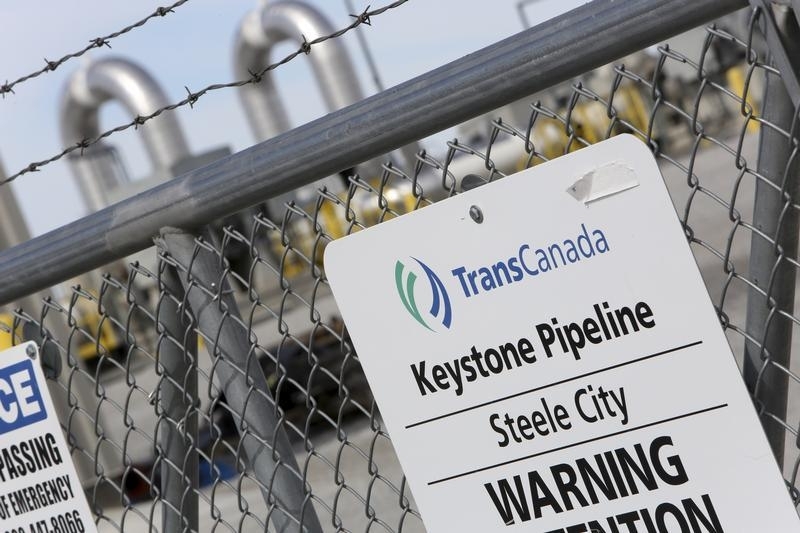 If TransCanada is lucky, the case may prove enough of a headache to convince the next occupant of the Oval Office to give Keystone another shot. TransCanada is seeking $15 billion in damages from the United States over the denial of a permit to build a controversial crude-oil pipeline, the company said on Jan. 6. The Canadian company, whose Keystone XL project would have transported oil from Alberta’s oil sands to the U.S. Gulf Coast, said it would ask for relief under Chapter 11 of the North American Free Trade Agreement, which provides for arbitration of trade disputes. TransCanada also said it would take a writedown of up to $2 billion on the project. The company filed a separate lawsuit in the U.S. District Court in Houston, claiming that the Obama administration exceeded its constitutional authority when it nixed the pipeline in November. President Barack Obama announced the decision after the State Department concluded that Keystone XL would “not serve the national interest of the United States.” The pipeline had encountered strong opposition from environmental groups concerned about oil sands’ contribution to global warming. The company’s shares fell 3.7 percent in mid-afternoon trading on Jan. 7.